Carbs & Cals is a popular printed book and smartphone app which shows thousands of photos of food portions, with the nutritional info shown for each photo. Carbs and Cals is a very popular resource to help you calculate carbohydrate portions. It is produced by an NHS dietitian, so information is accurate and relevant to the UK. Many people find the app useful, or use the book to find their usual meals (after all, we are creatures of habit!). 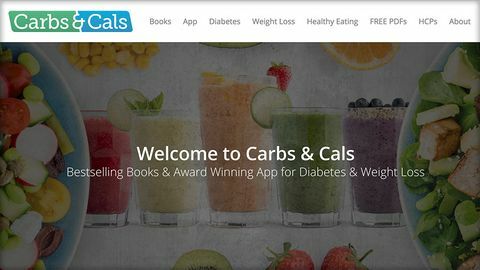 The award winning Carbs and Cals is many a PWDs most useful day-to-day book/app and on this site you can find information all about the products which offer a visual guide not only to a meal's carbs and cals, but also very importantly to its fat, saturated fat, protein and fibre. As a family we still use it many years post diagnosis for those meals we don't have regularly.